Today’s post is a guest post from Tim Worth, a PhD candidate at the University of Southampton. His thesis examines transatlantic Scotophobia during the late eighteenth century, and how ideas of ethnicity affected British and American images of empire. 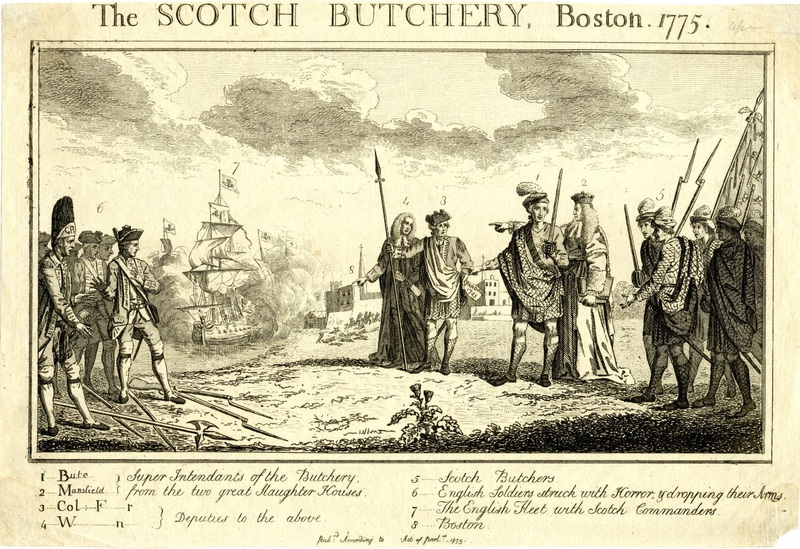 The Scotch Butchery, Boston 1775, (London, 1775). 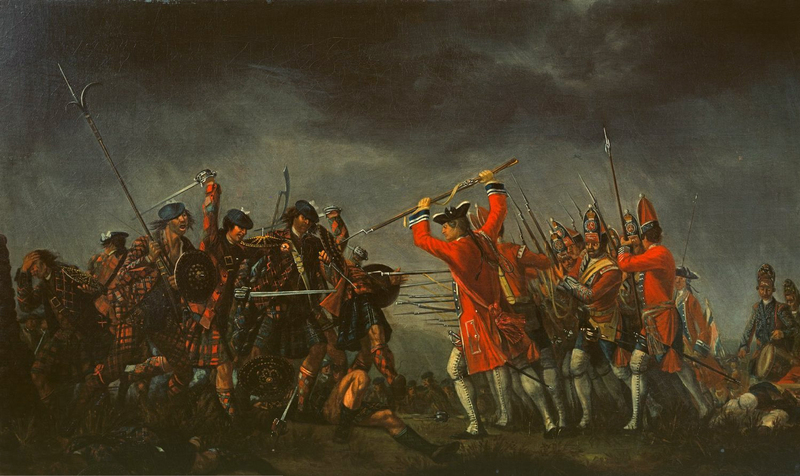 Lord Bute and the Scotch Junto instruct Highland soldiers to slaughter the inhabitants of Boston. On the left, a group of English riflemen drop their muskets in horror. © The Trustees of the British Museum.